Monday - Friday: 8:00am (English). Monday - Friday: 5:30 pm (Spanish). Wednesday - Friday: 12:00 pm (English). Thursday: 5:00 pm - 5:30 pm. Saturday: 10:30 am - 11:30am. For more information about exterior features available for dedications please download the file. 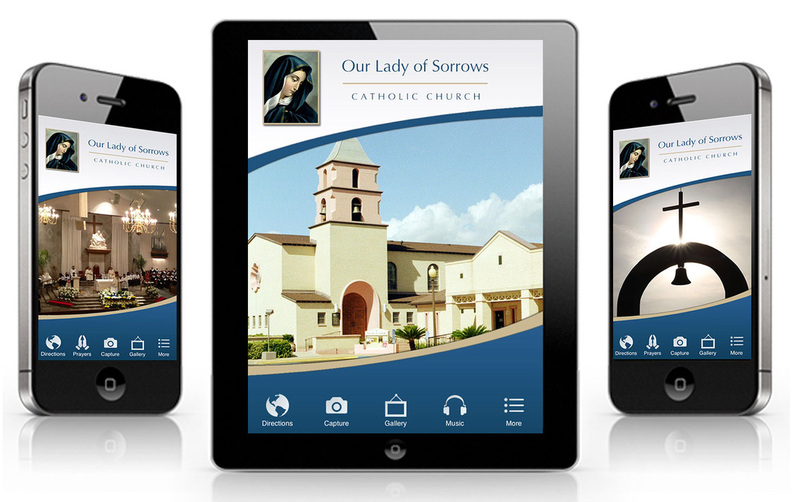 Our mobile app is packed with features to help you pray, learn, and interact with the Catholic community. The Online Giving App provides a convenient way for donors to make one time or recurring financial contributions to our parish.